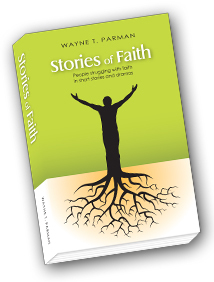 A Story of Faith in which Francis of Assisi resists God’s call to care for the poor. 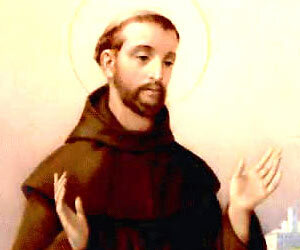 Francis of Assisi joyously loved God and brought charity to the poor. Yet, as a young boy he wanted to be a knight fighting Muslims in the Crusades. As with Paul, God appeared to Francis on the road. The boy resisted for several years, but finally saw that God had called him to a life of serving the poor. His friends and family called him a fool for giving away his earthly possessions and following Jesus. Francis’s story of faith begins with the Pope supporting his idea that Franciscans should have no earthly possessions and no administrative structure and continues with opposition from the Cardinals and some of his own followers. Late in his life, Francis sails across the Mediterranean to Egypt and to convince the most powerful Muslim sultan to convert to Christianity. Francis places his life in the hands of a powerful warrior with no protection but his own reason and faith in God. STORYTELLER: It is 1205. Francis is in his father’s store being measured for a suit of armor. FRANCIS: Yes, papa. I know the Pope is a cunning man. But I am twenty-three. I can take care of myself. PIETRO: His call for young men to support Gautier de Brienne against the Germans is very clever. He really wants to send all of you to Byzantium to throw out the infidels. FRANCIS: I understand, papa. We might end up in Jerusalem. But for now… Well, I want to fight the Germans again – to avenge our defeat in Perugia and that year I spent in jail. I’ve got back most of my strength. PIETRO: All right, Francesco. Youthful enthusiasm! (He shakes his head) Here is your cloak. I made it especially for you. See the gold embroidery? Now you are a nobleman! Oh, you will make me a proud man! Your horse is waiting in the stable. Come. Let’s show your mother. FRANCIS (looking weak and dazed): Innkeeper! A room for the night. INNKEEPER: You are alone, sir? And you’ve lost your cloak. What happened in such bad weather? FRANCIS: Oh, my cloak? I… I gave it to a squire on the road. He… he looked so sad and poor. Returning from Jerusalem, he said. I just gave mine to him. Poor man. INNKEEPER: Are you ill, sir? You look so pale. FRANCIS: I am very tired. I thought I was better. But prison seems to have taken my strength. I never saw a man so beaten as that pilgrim from battle. INKEEPER: Come along, sir knight. Your room will be at the top of the stairs. FRANCIS (bolting up in bed): Who’s there? (He coughs violently. Then, silence) I heard you. What do you want? VOICE (gently): What are you going to do? VOICE: What are you going to do, Francis? FRANCIS: I… I’m going to fight the Germans. Maybe the infidels. VOICE: Who can give you more? The master or the servant? VOICE: Then why are you abandoning the master for the servant. FRANCIS: (He recognizes the voice) What do you wish me to do, Lord? VOICE: Return to the land of your birth. You will be told what you must do. FRANCIS (coughs again): What? Go back to Assisi? You’ve got to be kidding? (He waits for a reply, but none comes). Where are you? I’m to go home? STORYTELLER: We’re back in Assisi. Francis arrives home without armor or horse. PIETRO: What do you mean you sold them? You sold the armor and the horse? PIETRO: (shouting) You wanted to be a knight! You wanted the best armor! No horse could live up to your dreams! I bought it all for you. (Pause – and he lowers his voice) I bought it all for you – and you… you gave it away.